More good news in the New Year! Solutions by Ruckus, a brand specializing in innovative wireless technologies, are now available at Senetic. The brand’s high-quality products come at great prices, along with expert advice and user satisfaction. California-based Ruckus was founded in 2004. The company’s basic value is the focus on innovation. In 2015, the company became the world’s first WiFi provider to introduce the Wave2 802.11ac access point with the ZoneFlex R710 device. The model can handle twice the density of mobile devices than previous devices in the series. What is noteworthy, Ruckus has been developing its products systematically, to offer solutions that are able to meet the expectations of organizations representing various industries. The manufacturer’s switches are characterized by flexibility and scalability. They allow smooth user management, from any level. Products in this category can be stacked and managed using a single IP address. 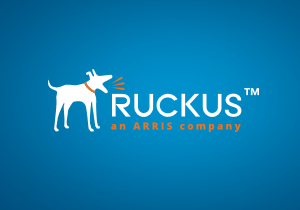 Ruckus is the leader of the wireless solutions segment. The offer includes internal and external access points, which work well in diverse environments, showing quite a resistance to changing conditions in every environment. On the other hand, their network controllers provide converged wired and wireless management thanks to the SmartZone functionality, which makes network management safer and simpler. The WiFi controllers come with an intuitive interface that facilitates administration and configuration. A wireless solution that enables fast and comprehensive WiFi speed monitoring in real time. A feature that ensures a high level of network security. Thanks to its efficient mechanism, the functionality automates all security on the client’s side. The process is transparent and fully secure. A solution for creating affordable and efficient wireless LANs. It adapts to changes taking place in an environment in real time, providing reliable and wireless long-distance links. The OoS solution is based on the process of network traffic automation. It ensures seamless and dynamic band allocation and enables bandwidth control. A system that dynamically adapts to changes that constantly occur in diverse environments. These are just a few of the manufacturer’s patents out of the 40 currently owned by the company, and counting. The full range of Ruckus brand solutions can be found on our website. Feel welcome to contact our experts who will help you make the best choice. Contact us at 020 3666 5800 or at info@senetic.co.uk. Share the post "Modern solutions for SMBs by Ruckus now available at Senetic"